Earmuffs can do the trick blocking loud gunshots and amplify the ambient human voices. You can continue your regular conversations as well. Even listen to music! But for that, you need to get the best ear protection for shooting. Now, that might be electronic or simply non-electronic. I have reviewed them all. Now, before we dive into the most elaborate and in-depth earmuffs review, I would like to show you my recommended 3 best earmuffs. Yea, you will have detail review on them later, but have a look. They are all highly recommended by shooting instructors. You have my recommended 3 best electronic earmuffs. Now it’s time to dive into their in-depth review. Along with those 3 compared above, I have reviewed 7 more of them so that you have a broader range of choices. Inexpensive but has the qualities of an expensive earmuff for outdoor shooting. Thousands of hundreds of happy users have recommended it as the number 1 best ear protection from shooting. Noise reduction capacity is average (what you normally expect) but the amplification of ambient sound is just awesome. You can clearly listen to the subtle sounds and thus enhance your communication. But whenever the ambient sound reaches 82 dB, amplification shuts off automatically. With 22 Noise Reduction Rating, you will have good outdoor shooting experience. I am saying it again; it is designed for the use in the range or in the field. The noise level will be pretty high if you use it in the indoor environment. If you need earmuff for indoor shooting, check the next one from the same company. Because of the low-profile ear cups, there will no interfering with the aiming. Your shooting experience will be more enjoyable with its AUX input and 3.5 mm connection cord for mp3 music and scanners. The adjustable headband lets it being perfect for everyone. The fitting is totally secured and the folding design is pretty handy for convenient storage. Yes, they run on battery and lots of users have confirmed that even if the battery dies suddenly or you forget to insert it, the earmuff is still good for noise reduction! In short, for durable and superior performance, comfortable usage and the elegant look resembling higher-quality, get it for a much better outdoor shooting experience and protect your ears at the same time. Now, watch the around 20 minutes of video review on HW Impact Sport earmuff. Though I like the matte black, it is available in various colors like Cameo, Green, Pink, Purple, Teal, Classic Green etc. Thin design so that there is no interference with the rifle stock. Great for outdoor hunting and shooting with any caliber. Patented AFC (Air Flow Control) for noise reduction. Noise reduction capacity is average. Great combination of safety and protection for your ear during shooting. The distortion-free amplification ensures the proper communication of commands and conversation even on a very low level. But when the sound exceeds 82 dB, it blocks all the sound to protect your ears. Padded headband for comfort and customized fit. Totally slip-resistant. 2 AAA batteries required (they come included with the earmuff!). Battery replacement is super easy. It’s a snap-on lid! You should have approximately 350 hours of battery life. Automatic shut off feature after every 4 hours to extend the battery life. Unbeatable price. These earmuffs are inexpensive but definitely not cheap quality. Widely recommended by a countless number of shooters and hunters. Not so good for indoor shooting. The noise will be too loud. Read the next review for the indoor shooting earmuff. It has solved the problem of the previous one. As you can remember, Impact Sport is super cool for outdoor shooting. This one is suitable for indoor shooting as well. It’s as good as the previous one for outdoor shooting. Just like the previous one, it has almost the same feature and you can get it without breaking your bank account. Even though it is another great earmuff for shooting. It has some ‘issue’ that you need to consider. Pay attention to the cons section of this review. Definitely, it will amplify the range commands and other ambient sounds to enhance the communications and it will block loud sound that exceeds 82 dB to protect your ears. To amplify, you need to do the volume adjustments. Pretty handy to reduce the noise level as well. And with small additional cost, you can get the safety eyewear as well for the shooting. It’s pretty comfortable and designed in that way. Lots of users have confirmed the fact that even after continuous 2 to 3 hours usage, they did not feel uncomfortable. Even for the indoor shooting you can clearly communicate and listen to all the ambient sounds. The earmuff is adjustable to fit any head size including women and children. In fact, you can make it pretty small which has made it most popular and another best electronic hearing protection for shooting and outdoor hunting. I must say, this the next level hearing protection safety for you. It comes with 2 AAA batteries and a 3.5 mm connection cord to listen to MP3 music. Changing the batteries is a breeze and they last really long. Many have complained that it’s not that great for listening to music. Besides, because it’s bulky size, it may not be comfortable for rifle or shotgun shooting. For the pistol, it’s great! But people just love it for its strong noise suppression. Here is a video demo on Impact Pro for you to have a better idea. To put it simply, as per professional shooter, you should have it to hear the range commands, maximum comfort, and noise protection. You don’t need to yell to communicate during indoor and outdoor shooting. Can block noise at 30 dB. For shooting in the enclosed environment, it’s second to none. Way much better than Peltor non-electrical earmuff. Perfect for men, women, and children. Just adjust a little bit as you need. To increase the battery life, it has the automatic shut-off feature every after 4 hours. Highly recommended by experienced shooters and hunters. For the price, it’s a great investment to make shooting more enjoyable. It’s a bit bulky. As you can remember, Impact Sport is slim and has a compact design. Not cool for playing music. The cheap aux cable is not pretty good to increase the volume of music. For daylong shooting, it might be uncomfortable for you. Peltor is in this game for a pretty long time and it has huge fans all over the U.S.A. TAC 100 from Peltor Sport is a great hearing protector against loud gunshots for both indoor and outdoor shooting. Or maybe you love hunting? Yes, it’s highly recommended for that as well. You need to be aware of the fact that, it does not cancel the noise. It works in a little bit different way. The 3M proprietary technology suppresses loud noises of the gunshot to protect your ears and amplify low-level ambient sounds. NRR 22 is pretty awesome capacity if you consider the price. And yes, a huge number of shooter and hunters consider it as another best hearing protection for shooting and hunting. Not just pistol shooting, because of its low-profile cups you will not face any trouble for rifle/shotgun shooting at all. It has some self-developed technology which has made it stand alone. First, to have clear conversations and commands, it has developed Adaptive Frequency Response. It radically reduces background noises for both indoor and outdoor shooting and hunting. To make it suitable for indoor shooting, it has developed Variable Suppression Time to reduce echo in an enclosed environment. Let me do a brief comparison with Howard Leight Impact Sport. Both of them have similar noise dampening capacity and all other features are almost the same. But I believe the Peltor has a quick ‘boot time’ and the response rate is a little bit faster than the Leight. You can easily fold up the Peltor relatively easier than the Leight. Again, all the features and quality is almost the same. Works fine with shooting glass. Experienced shooters have recommended it especially if you have prescription glass. No problem of interference with your rifle or shotgun. Features re-engineered headband for the greater fit and ultimate comfort for daylong shooting. Lots of experienced users have reviewed it as more comfortable and snug fit than the Howard Leights. Easy access to the battery door and changing battery is really easy. You will be in need of 2 AAA batteries. To extend the battery life, the earmuff has an automatic shut-off feature which happens after every 2 hours. There is a 3.5 mm audio input jack & it is compatible with almost all MP3 to listen to music during shooting or hunting. Higher price. But what bothers me most is that the batteries are not included. Even a little noise like hand clap, wind or if you touch the earmuff, it will cut the sound and make you deaf for few seconds. Some said it’s good for civilian range shooting not for tactical shooting environment. If you feel having a more comfortable electronic hearing protector than Howard Leight, this one for you. It’s proven to be more comfortable and more importantly, it seals well and hence considered to be another best ear protection for shooting. And yes, it’s pretty good for indoor and outdoor shooting. Even though it has 21 dB NRR which is low than the Peltor Sport TAC100, there is no much difference in noise dampening. And if you are thinking about hunting but worried about the rain, there is good news for you as well. Though I never went hunting, lots of hunters have confirmed that even under heavy rainfall, the earmuff works well and function well subsequently. Yep, it’s another best electronic hearing protection for hunting as well. The price is really reasonable and won’t break your bank account. For both indoor and outdoor shooting, it can amplify low-level sounds for smooth communication & listen to the range instructions. To protect your hearing against loud gunshots, it can suppress the loud sounds of normal sound. It features low-profile cup design so that there is no interference with rifle/shotgun. Both cups have sound adjustment system. Besides, there single ON/OFF feature is so cool in case if you forget to off the earmuff. In addition, it features re-engineered headband to longtime comfort and snug fit. If you have experience with Peltor Tactical 6S, you will be amazed to know that it’s the same one. Only it has improved lots of features like the single on/off, improved comfort, easy battery door access, and the auto shut off. Much more comfortable than the Howard Leight Earmuffs. Most people like it for its better fit and better directional audio. Definitely, another best electronic ear protection for shooting. Block loud noise but amplify low-level conversations to the normal level even if you are wearing earplugs. Great for normal conversation during shooting or hunting. Adjustable padded headband, so perfect for men and women as ear protection for shooting indoors and outdoors. Features 3.5 mm audio input jack to listen to music which supports almost all MP3 and 2-ways radio. Low battery consumption. By the way, you need to buy 2 AAA batteries to run it. To extend the battery life, it will automatically shut after every 4 hours. Battery power consumption is also low. You can use it for continuous 8 hours or more of shooting. You can access the battery door easily to change the batteries. May not be suitable for volume shooting. Especially if you like indoor shooting with loud gunshots, you still may hear a few loud gunshot sounds. Another best ear muffs for shooting, you can use it for other purposes as well like mowing your lawn. It has noise canceling mechanism, so you can do a lot more than that. The best part? It’s so inexpensive but not ‘cheap’. With the black color, it has NRR of 30 dB and you already know its so powerful rating to cancel noise. From kids to adults, it fits perfectly for everyone. The adjustable headband and swivel cups have made it really perfect for everyone. When you need to focus in silence maybe just for shooting or hunting for hours after hours, EAR Defense 3000 is a great choice. In other situations where you need to get rid of loud noises, it can be your true friend. Let me give you an example. Does your baby love go to Monster Jam? When the trucks are extremely loud, it can be hurting for the ears. But when the ear protection from EAR Defense is on, it will cut most of the abrasive noises. Shooting lovers also have found it useful reducing loud gunshots. Lots of people have confirmed that after wearing the earmuff, they were amazed by the silence. Even if can reduce noise from people talking and kids noises. They have recommended it for those who need non-interrupted silence for hours. EAR Defense 3000 is tested and certified by ANSI S3.19 and CE EN521. Pretty lightweight, weighs only 4 ounces which helps you to keep your ears cool and reduce the neck strain. Fold easily and storage is much smarter. All you need is a tiny storage space. Super strength and durable has made it a premium quality earmuff. Without any issue, it will serve you years after years. Comfortable and fit snugly to all from kids to adults and in between. Lots of happy users for its quality and sound dampening capacity. EAR Defense always stands behind their products. If you face any trouble, contact their awesome customer service. They will promptly address your issues. As you can see there are so many good reasons to have it, but there are some issues that you need to be aware. So here you go! In rare cases, you may receive defective one, in that case wearing it may hurt you. Check very carefully. Especially pay attention whether any metal parts have come out of the earmuff. May not be pretty good as the best earmuff for indoor shooting range. Try some other brands if you love indoor shooting only. When you need to avoid hearing loss due to loud gunshots/any sounds WITHOUT wearing earplugs, you need the best ear protection for indoor shooting range. And yes, ClearArmor’s earmuffs are pretty good for outdoor shooting as well. Except shooting, it is highly recommended for kids afraid of watching fireworks or when you just need to focus on something avoiding noises. To avoid permanent hearing loss, your earmuff should have greater NRR. This one from ClearArmor has 31 NRR! Shooters from both indoor and outdoor shooting ranges have confirmed that it works really great blocking loud gunshots. People having trouble to focus due to loud noise from construction works to the concert, have found it effective preventing loud noises. ½” of the padded headband with synthetic leather lets you use it for a prolonged period hour after hours comfortably. Being synthetic leather headband, you can clean it easily as well. The snug fit design of the earmuff keeps it on your head even if you are heavily sweating due to tuff jobs. It’s suitable for everyone irrespective of the head size. The adjustable headband which you can adjust vertically for a full 1 ¼” on both sides. Because the cup tilts and swivel, you will have a custom fit for your head. Apart from the custom fit, the compact folding design lets you store it efficiently. Several users have tried it for shooting without wearing any earplugs and have found it super effective to block loud gunshots for both indoor and outdoor shootings. 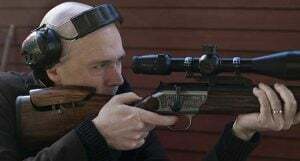 There is the incredible number of recommendations from experienced shooters/other users considering its quality and effectiveness preventing noises around you. American National Standards Institute tested and certified it. Tested & certified by European Standard as well. Beautiful black color. Over the head earmuffs loved by thousands! Perfect adjustable size for kids and adults. Especially, if you have a kid who is afraid of loud sounds on different occasions, try it. I am pretty sure; this will solve the problem for your kids. Super soft foam to make you comfortable for a long time. Powerful NRR. Perfect for small to large caliber gun shooting. Saves you from permanent hearing loss. Lightweight and super comfortable for day long shooting. Tight fit but proven to be comfortable. Folds nicely to store it. So inexpensive! If your budget is tight, get this cheap ear protection for shooting! Lots of repeated buyers. Some said this is a better alternative to high-priced earmuffs and another best ear protection for shooting. Great customer service. If you are having any issue, contact them and they will take care of it. Some reviewed it as cheap looking! The company claims to have 37 dB NRR but there are lots of other opinions about that from experienced shooters. But still, users have confirmed that the NRR is more than enough to completely neutralize loud gunshots for both indoor and outdoor shooting. For other applications like construction work, mowing, concerts, fireworks etc, it is another best ear muffs. Proven to be effective blocking sound but you will still hear people speaking so that you can continue conversations and hear range instructions. As per many, it’s a super useful hearing protector and you can get them at very cheap cost. It’s so comfortable to wear for hours after hours because of its extra padded headband. Being lightweight and easily foldable has made it portable friendly and you can store it conveniently. It’s proven to be durable, so your investment will pay for a very long period of time. Highly recommended for everyone! Comes in various colors and since the muffs go up and down and in & out, it’s suitable for men and women, kids and adults. Have sensitive ears to loud noises? Having sleeping issue due to the loud environment? Lots of users have found the perfect solution for such situations! If you have previous experience of using earmuffs from other brands, I am pretty sure you will end up reviewing it having much higher dB than other brands. A tremendous number of users can be wrong, right? They have recommended it because it is comfortable, suitable for various purposes, adjustable easily and so many other reasons. Available in multiple colors like Black/Pink/Blue/Orange/White etc. Being adjustable has made it suitable for adults to kids. ANSI S3.19 & CE EN 352-1 tested and certified. Suitable for shooting with the pistol to rifle/shotguns. Confirmed fact! Apart from shooting, it is perfect for other noise reduction applications like noises from power tools. You can comfortably use it wearing eyeglasses. Comfortable for you and your kids as well. Tight fit to the head but NOT uncomfortable for long time usage. Well made earmuffs from a reputable and trusted brand. People having trouble to sound sleep due to environmental background noises have found it super useful. Just make sure you sleep on your back! Really caring after sales service! Notify them any trouble you are facing and get ready to be amazed by their prompt service! Some confusion about its true NRR. But almost all agreed that it has higher NRR than other brands. Very few have reported having a headache. You will have 2 BIG major improvements with this model from Peltor. Number 1: the control buttons are recessed soft touch and number 2 the microphones are covered by recessed foam cover. Apart from that, there are some other great improvements which have made it another best electronic ear protection for hunting & shooting from Peltor. The lower profile design has made it highly suitable for rifle/shotgun shooting. There will be no interfering! With 20 dB NRR, yes it is proven to be effective against loud noise from indoor and outdoor shooting. More to this, there is an external audio jack where you can connect your smartphone, MP3 players or even your dog tracker! It has auto shut-off feature where you can set the timer. This is so useful & to save the battery life of your earmuff you should always do it. When the time approaches for auto shut-off, it will make a beeping sound to inform you and if you don’t want it to shut-off, just hit the volume button to reset it. Pro Advice: Don’t set the auto timer at the shooting range. You never know whether you will forget to reset it. What if you are shooting and the earmuff turned off! I should have mentioned it earlier, yes it runs on AAA battery and you need 2 of them. There is an external compartment for that. Like all electronic earmuffs, it dramatically reduces loud gunshots to protect your ears and amplify ambient voices so that you can hear range instructions and communicate easily. Lots of users have confirmed that the sound quality is so natural crisp and clear. Apart from shooting, you can use it for other uses like hunting, mowing the lawn or even watching the TV (if you have a hearing issue)! Directional hearing is always preferable and this model is really good for that. Compresses noises nicely and amplify ambient sounds. Sounds seem so natural! Huge appreciation and love from thousands of hundreds of users including certified firearm instructors. Experienced users have lots of other brands and found this model much more of higher-quality and effective at suppressing noises. Proven to last long years after years. Changing the batteries is a real breeze. The battery compartment is external for easy access. You will love it. Reasonably priced and some people believe it’s much better than the Howard Leights! Not so powerful NRR. In fact, there is some complaint about the weak capacity of noise reduction. Have complained about the uncomfortable headband. You should ONLY have it over TacticalPro of the same brand if you need to have Bluetooth. Yes, with the Bluetooth feature you can be connected to your phone and that’s a BIG difference for some. If you are in the shooting range for day long and you need to receive emergency phone calls, that’s the one you need! Just because of the extra Bluetooth feature, some people call it the best electronic hearing protection for shooting. If you need a comparison between Peltor TacticalPro vs. Peltor 500, I would say both of them have the same features and qualities. The only difference is that Peltor 500 has Bluetooth but it’s less comfortable than the TacticalPro. You simply can’t adjust the headband of the Peltor 500, that’s why it is less comfortable. Since the NRR of the earmuff is 26 dB, your ears are perfectly safe from loud gunshots. There is no double about its noise reduction power. Also, it amplifies low-level human sound, so you can clearly hear shooting range instructions and communicate freely. It’s clear voice tracking mechanism can detect human voice and amplify it for you. The dynamic noise suppression time adapts to the shooting environment and suppresses loud gunshots. Using the Tactical 500 is much easier than their other version like TacticalPro. Being lightweight has made it suitable for day-long shooting for both indoor and outdoor. The main complaint about this model is that the headband is not adjustable. Please pay attention to the cons part of this review. Uses SMART technologies to suppress loud noises and amplify low-level voices. Noise reduction is as great as the Tactical Pro of the same brand. Bluetooth supports all types of modern smartphones like iPhone. You can listen to the music on your phone. If anyone calls, the music will automatically be on low-volume. Lots of users have verified that they did not face any trouble using it for day long shooting. In contact with mist/little drizzle can’t do any harm. But don’t try it under heavy rainfall. Compatible with Peltor ARC helmet rail adapters. Don’t forget to remove the wire from the headband. If you have Peltor Gel cups, they will fit perfectly with this one. The headband of it is a little bit less comfortable than the TacticalPro of the same brand. Headband not being adjustable is a little bit problematic for some users. Though you can talk as like normal environment in the shooting range, you can’t listen to anything during the shots being fired. Get the TacticalPro instead of Tactical 500 if you have no interest in Bluetooth. Highly effective but cheap cost has made it another best ear muffs for shooting. With 34 dB of NRR, you should not have any confusion about its loud gunshot reduction capacity. A solid and lightweight earmuff to amplify ambient sounds like range instructions and reducing loud gunshots to protect your ears. If your budget is limited but need an earmuff that really works, try this one. Really inexpensive but NOT of low-quality. Already appreciated by hundreds of thousands of shooting lovers. There is a padded headband for wearing in the daylong shooting range. Lets you do other rough jobs like mowing the lawn without damaging your hearing. Lots of shooting lovers have expressed their high appreciation for this earmuff. The noise reduction capability is noticeably better than other high-expensive earmuffs. More importantly, they are extraordinarily lightweight and comfortable to wear while you can continue to listen to human voices. Compact design with the perfect size to carry in the bag. Available in large and small sizes. Suitable for everyone ranges from young children to adults. Apart from shooting, it’s pretty effective for studying and woodworking. Suitable for any firearms irrespective of the size of the caliber. No interference for shooting with rifles. Trap shooter? Even better! Kids with autism having sensitivity towards loud gunshots have found it highly effective. No trouble wearing glasses. You can even listen to music. Snug fit. In fact, a lot of users have confirmed that it fits comfortably around the head. A true lifesaver for parents having trouble with their kids with noise sensitivity. You will still hear people talking, so not suitable if you want to hear nothing. Though usable, you may face little trouble hearing range instructions because of the incredible NRR. If you are new to the shooting, these guides may be a tremendous help to you. There are lots of variations in earmuffs for various usages. As I am talking about protecting your ears while shooting, you should ONLY consider this guide for the shooting only. Sound measured in decibels (dB) and any sound having more than 80 dB maybe the cause of your hearing loss. Worst case scenario, you may permanently lose it. When you are in shooting or hunting, you actually get exposed to such dB. Indoor or outdoor shooting does not matter, you need the best electronic ear protection for shooting. Following the guidelines will not only just protect your hearing capacity, but it will also help you pick the right earmuff that will let you hear range instructions and communicate with others. It’s the provision of law that every hearing product must have an NRR (Noise Reduction Rate) rating. Maximum NRR is 34. For your indoor shooting more NRR is preferred because of the enclosed situation. But anything between 28 NRR to 31 NRR. For outdoor shooting, Below 28 NRR is pretty enough. There are basically 2 types of earmuffs: Passive and Electronic. Passive earmuffs using foam and other materials block the sound. They are not recommended for shooting. You should only get electronic earmuffs for indoor and outdoor shooting. All the above-reviewed earmuffs are electronic. Electronic earmuffs can amplify ambient low-level sound like range instructions and block loud gunshots. I am not talking about the size of the earmuffs. Normally they have the adjustable headband to be suitable for kids to adults. But very few companies offer in different sizes as well. If your head size is a little bit smallish, try having youth earmuff. Not all earmuffs are suitable for indoor shooting. As you have seen in the first review of Howard Leight. That is not recommended for indoor shooting. So, you need to be skeptical here. Make sure the earmuff is clearly suitable for both indoor and outdoor shooting. There should be at least 2 of them on each of the ear cups. That way you will hear instructions better and can communicate clearly. That will give you the feeling of not wearing any earmuffs at all. It would be better if they have independent controls for these speakers and microphones. That way if you have the problem hearing in one ear, you can easily compensate that adjusting the volume. Sounds weird, right? But if you buy earmuff considering the weather conditions of the shooting place, you can use it for the long continuous time without any neck and headache. If your shooting location is in hot weather, avoid earmuffs having ear cushions made from nylon or plastic. How Loud Is A Gunshot? If you think it’s okay to shoot with your unprotected ears, pay attention here. An average gunshot can be as loud as 140 dB and it depends on the caliber. More caliber means more loud gunshot. Let’s say you shot 20 rounds in a single day, that means your ears have to tolerate around 2,800 dB. Now, consider you go hunting or indoor shooting 2 to 3 times a month! Hearing loss may happen due to exposure to such loud noise over the passage of time and sometimes it is not recoverable. So, don’t be a fool believing you expose to such loud noise with your unprotected ears. It’s nothing but stupidity. Pretty horrifying, right? The good news is any good-quality earmuff from any brands can absorb such noise pretty effectively and protect your ears without fail. Why Do You Need The Best Ear Protection for Shooting? If you are an experienced shooter, it’s not a secret why you should have it. But for the beginners, no matter whether you are into outdoor or indoor shooting, you must understand the importance of having an earmuff during the shooting. Statistics show that around half of the shooters don’t wear any kind of hearing protection. That’s really horrible! Any sort of firearms creates a loud noise and I have covered it above to a small extent. But I think it needs an elaborate explanation. Now, any gunshot will produce more than 85 dB noise (which is considered to be safe for the human ears). Even a small caliber rifle produces around 140 dB of loud noise! Imagine what the bigger gun can do! Exposure to such loud gunshots will permanently damage your hearing. I am not kidding. Even people nearby you (while shooting) can lose their hearing if they don’t wear any hearing protection. The situation gets worse when you are into indoor shooting. The loud noise hits the wall and bounces back to you which makes it totally unbearable for the ears to tolerate. Such loud noise not only will permanently lead to hearing loss but also has a deadly impact on your brain. So, are you completely safe if you wear the earmuff? Not really, at least no 100% safe. You must wear the ear protection appropriately and wear it all the time of the shooting. But most importantly, the quality of your ear protection has to be of higher quality. Hence, you need the best earmuff. 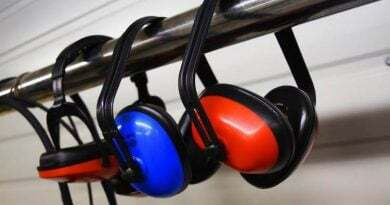 To dull the loud noise, people use different kinds of hearing protection such as earplugs. But none of them are as good as the earmuffs to safeguard against such gunshots noise. Remember, the effective level of any ear protection has to be approved by association like the American National Standards. Only good quality earmuffs are approved by that association and you should only go for such earmuffs. What & Why The Electronic Hearing Protection? As you have seen from the above-mentioned reviews, I have talked a lot about electronic hearing protection. But what is it really and why you should go for it? In this section, I believe this topic needs a proper explanation for the beginners, at least. 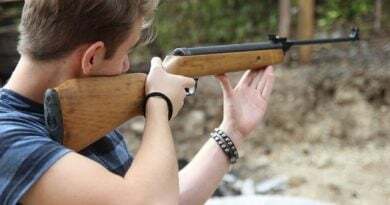 Unlike passive hearing protection, electronic hearing protections are really intuitive to detect gunshots and surrounding noises like instructions from your instructor. It can amplify the surrounding noises so that you hear the instructions clearly. Trust me, they do it very effectively. Without such electronic devices, you won’t hear such instructions among so many noises! On the other hand, when it detects the gunshots – it can effectively reduce it to a great extent that your ears can tolerate. You may have heard about it already as the ‘attack time’. Now, you need to understand this ‘attack time’ more carefully. Faster attack time means your hearing protection can protect your ears more effectively. If you are using larger firearms, you need faster attack time. So, your objective should be to have the best ear protectors with fast attack time. If it costs you some extra money, so be it! You can’t make any compromise regarding your protective gear. Pay a little extra, but get the best! If you go hunting with your best friend, consider buying it in pair. Sometimes, you can get a big discount on such a case. Keep a sharp eye on the NRR rating. Stick to the higher rating. If listening to music is your favorite while hunting, keep that in your mind too. While hunting, some people spend days on the field. Are you one of them? If so, you may consider having passive ear protection. You won’t have to worry about the batteries! Let’s start by knowing some facts. We all know gunshots are loud but how damaging they are to your ears? A .22 caliber rifle can produce 140 dB of sounds and a shotgun and pistol can produce even more than this – 175 dB! Any sound above 82 dB is damaging to human ears. Now, you do the math! In any shooting range indoor or outdoor, you are exposed to loud gunshots continuously. Imagine you are in a daylong shooting, then how much loud noises your ears can tolerate? In addition to shooting sports, we love to go hunting. Besides, simple lawn mowing can produce loud continuous noise and you need the best hearing protection for lawn mowing. All of them lead to hearing loss. Hearing loss is not easily recoverable. And then comes the impact of hearing loss. Every day every time you have to speak loudly which will irritate people, even your close relatives. They need to shout as well to have conversations with you. 24/7 you will be bound to wear hearing aids. You don’t want that happen to you. Instead, spend some money and get the best hearing protection from the above I reviewed. Taking care of your hearing should be your number one priority. If you are still with me that means you have reached almost the end of the article. But still I think I could not answer all the questions that you may have about shooting or earmuffs. So, I tried to answer such questions in this small FAQ section. Hopefully, you may find your question answer here. What NRR Should I Use For Shooting? Answer: No matter whether you go for the earmuffs or earplugs, there has to be a NRR rating by law. For indoor shooting, the recommended NRR rating is 28 to 31 but NRR rating can go as high as 33. The choice is yours! Answer: Yes. It is simple math. 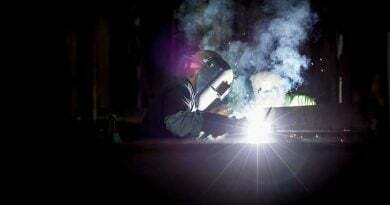 NRR measures the effectiveness of any ear protection device’s ability to reduce the noise. That means, more NRR also means more effective ear protection. What Is The Highest NRR Rating For Earmuffs? Answer: Whereas the earplugs have the highest NRR rating of 33, earmuffs have the highest NRR rating of 31. You can wear both of them and in combined they will offer you 36 NRR. Are Foam Ear Plugs Safe For Shooting? Answer: Yes, for outdoor shooting and if you wear the foam earplugs appropriately. But I would not recommend it at all. Rather you should always go for the electronic earmuffs or earplugs. They are proven to block the loud gunshot noise very effectively. Can Dogs Go Deaf From Gunshots? Answer: It is really hard to measure the deafness of a dog. But there are so many examples of dog go deaf after loud gunshots. Is 100 Db Too Loud? Answer: Any sound beyond the 85 dB is harmful for the human ears. And yes, definitely 100 dB is too loud for the ears. I believe you have your in-depth ear muffs review. I would personally recommend you get any of the above best hearing protection for shooting. They have the extraordinary capability of blocking sounds from gunshots. For other usages, you can have anyone from the above reviewed. Last advice though: Don’t go cheap when you need to protect your ears! Earmuffs or earplugs, whatever you prefer, you must wear ear protection while shooting indoor or outdoor. Any form of unprotected shooting will make you completely deaf.